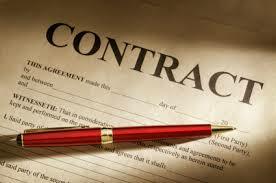 A contract creates legal obligation: Performance of a contract means the caring out of these obligation. Each party must perform or offer to promise which he or she has made. There are two types of performance of contract. Performance of contract should be unconditional: A person on a bus offer a Rupee not for the fare which is ten p only. It is not a valid tender because it imposes condition on the acceptance of the tender. This is the return of the balance out of Rupee tender money must be of exact sum due. Example: A music hall was land for a series of concerts on certain days. The hall was burned down before the date of the first contract. The contract was become void. A. It May be done by mutual consent. B. In void able contract one of the parties has the option of rescission it. 05. By Novation: Novation occurs when a new contract is substituted for an exsing contract either between the some parties or between different parties. P lends d tk.2000 After words the parties agreed that D will repay to P tk. 1000 and a certain amount of ornament at a certain date. The former agreement is replaced by the later. This is novation. 06. By Remission: Remission may be defined as the acceptance of less than what was contracted from. Example: A owes B Tk. 5000. A pays to B and B accepts in full satisfaction for the whole debt Tk. 2000. The old debt is discharged. 09. Waiver means the abandonment of right: A party to contract may waive his/her right under the contract. Thereupon the other party is relished form his/her obligation. 10. Mergers: When a superior right and a inferior right concede and meet in one and the same person the inferior fight vanishes into the superior right. This is known as margers.